Some of you may know that I have a good following on Pinterest. For those who don’t know about the site, Pinterest is a visual discovery tool that people use to collect ideas for their different projects and interests. People create and share collections (called “boards”) of visual bookmarks (called “Pins”) that they use to do things like plan trips, develop projects, organise events or save articles and recipes. A couple of weeks back a representative from Pinterest contacted me to see if I was interested in being “Pinterviewed” for their on-going interview series. I of course obliged! Here’s a short extract from the interview. 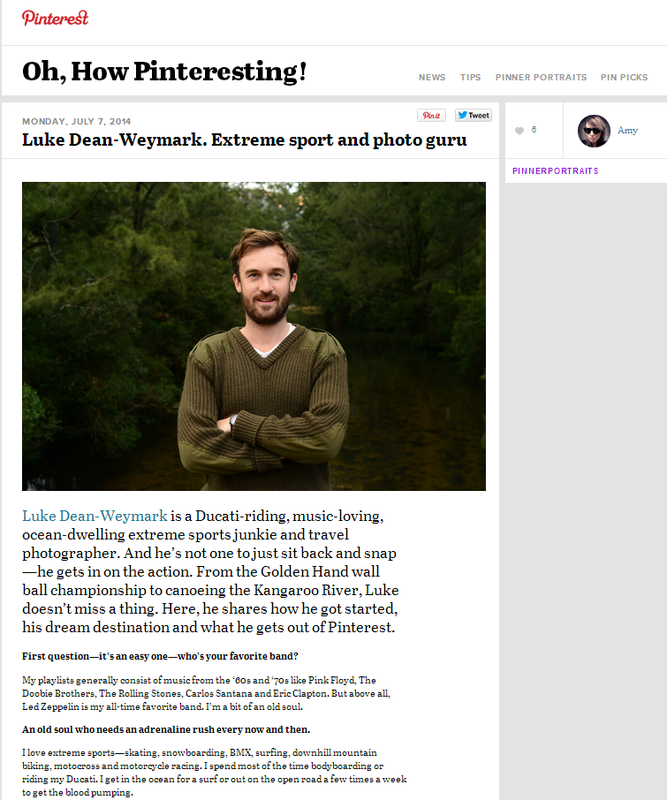 This entry was posted in Work and tagged interview, Luke dean, pinterest, work. Bookmark the permalink.